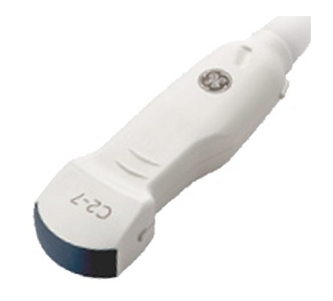 The refurbished GE C2-7-D transducer is a broad-spectrum, microconvex, biopsy probe. It has a 110º field of view and operates at a frequency range of 2 to 7 MHz. It runs on the GE Logiq e9 ultrasound system and is used for abdominal imaging applications. Providian Medical can assist you in your search for a refurbished GE C2-7-D probe and other used ultrasound transducers. Our sales experts can be reached at 877-661-8224 or through the contact form below, we would be glad to provide a no-obligation quote today. I want a free price quote on the GE C2-7-D, send it today!